Caption slip reads: "Photographer: Wyman. Date: 1957-10-11. Assignment: Chamber of Commerce layout story. Negs. to Erwin Baker. 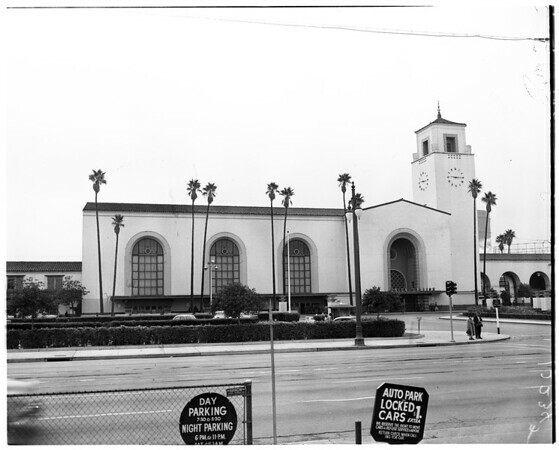 19/20/41/42/53/54: Union Station. Al Murphy Eastgate 20407".